Established by Quentin Smith, HQ Aviation is offering a new helicopter training concept, based on 30 years experience and on the strong belief that ﬂying is above all, a beautiful thing that deserves to be enjoyed as such. Discover the thrilling sensations of having the controls for the very ﬁrst time, put yourself to the test by taking your private pilot licence, and make the best of it by self-ﬂy hiring one of our machines. Our experienced instructors will help you achieve your goals in a relaxed and friendly atmosphere. Flying is the ultimate dream pursued by mankind. Should you want to live it for real, the discovery flight will certainly fulfil your expectations: After a pre-flight briefing, you will enjoy a full hands-on flying experience with one of our instructors. If you are looking for a memorable gift idea, look no further: The 30 minute voucher is what you need! Let aside the ground exams that most student self study before taking the tests on site, the obtention of a PPL(H) requires a minimum of 45 hrs of flight training, including 10 hrs of solo. The duration of the course will naturally vary, depending on the student commitment and ability. Holding a Commercial Pilot Licence, CPL(H) gives you the status of professional helicopter pilot. To achieve this, 155 hrs of flying time post licence is required, of which 50 hrs must be Pilot In Command ( PIC ). Having achieved your PPL(H), you may wish to fly different types of helicopter. A type specific ground training course followed by a minimum of 5 Hrs of flight training will suffice to put you to the Type Rating test. Holding a night rating gives you the most flexibility, as sunset will no longer prevent you from flying. To achieve this, 100 hrs of flying post licence is required, of which 60 Hrs must be Pilot In Command ( PIC ). With an impressive fleet of over 30 helicopters, HQ will certainly be able to facilitate your flying requirements, either on a short term hiring or on a long term leasing basis. Inspired by Captain Q’s “World All Around” adventures, HQ is keeping up the tradition by organising expeditions to amazing places. Please let us know if you want to be part of the HQ flying squad! Should you want to master the Art of Auto-Rotations, HQ is definitely the place to practice this so called “emergency procedure”. Twice Aerobatic World Champion, Captain Q will push your boundaries and teach you how to fly safe. At HQ, our experienced and dedicated engineers carry out the highest quality rebuilds on calendar or time expired machines. The 12 years inspection or 2200 Hr overhaul will be tailored to your specific needs. With an infinite choice of colours for the exterior, and the finest materials for the interior, your machine will be reborn “unique”. Being an authorised Part 145 Maintenance Facility, HQ can carry out all types of work on your Robinson or Cabri Helicopter. From small scheduled inspections to unforeseen defects, our engineers will look after your machine with the greatest care. With an impressive stock of Robinson and Cabri spares, HQ can offer an AOG service to get the parts you need without delay. Our Stores Team are always on hand to give you some assistance. Please enquire if you would like to base your aircraft temporarily or permanently at Denham. Our Operations team are on site 7 days a week, to provide moving in-and-out service and refueling assistance. 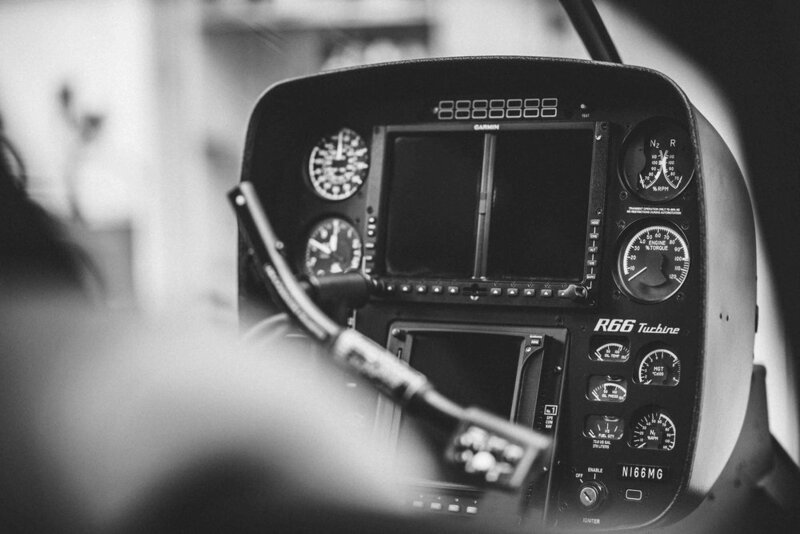 From upgrading your existing radio, to installing USB ports to the instrument console: HQ works with experienced Avionics engineers to ensure the best outcome for the owner and improve the whole flying experience. Global Rotors, a division of HQ Aviation Ltd, are an official approved Robinson Factory distributor. GR will give you the necessary guidance to design your brand new “Robbie”. With a great range of optional equipments, your R22, R44 or R66 will be tailored to your needs. If you are considering selling your machine, please contact our sales team. HQ will do the necessary arrangements to facilitate the transaction. If on the other hand, we are willing to buy a used aircraft, please let us know your criteria and HQ will look for a suitable machine for you. Having rebuilt over 40 Robinsons in his career, our expert Chief Engineer has gained the experience to deliver a “like new” product. Attention to details is paramount, fine tuning is a must, and there is no limit to the choice of colours and materials that can be selected to personalise your beloved machine.